Can I redirect members to our old system if we aren’t ready yet to transition to a new reservation grid? Of course! We understand that you may need some time for your members to transition to a new court reservation system. If you’re not ready to start using the Pool Dues Tennis Reservation System, you can input the URL of your previous tennis grid on the Tennis Director Dashboard. 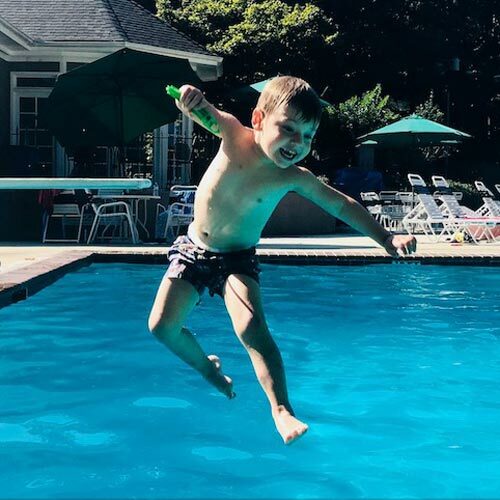 Once you’re ready to have your members use the Pool Dues system, just leave the box blank. How can I post the lock code for the tennis courts without making the code public? A great place to post the tennis court lock code is as a pinned note on the reservation page. Any time you create a “Pinned Note to Reservation Page,” this note appears on the members-only court reservation page. This way your members can see the note but it’s not made public for non-members visiting the site. You can also add a link or an email on the Reservation Page Note. For example, you could add a link back to your Tennis shop. Or you could add a link to your Tennis Director’s email. How can I avoid last-minute court reservations? 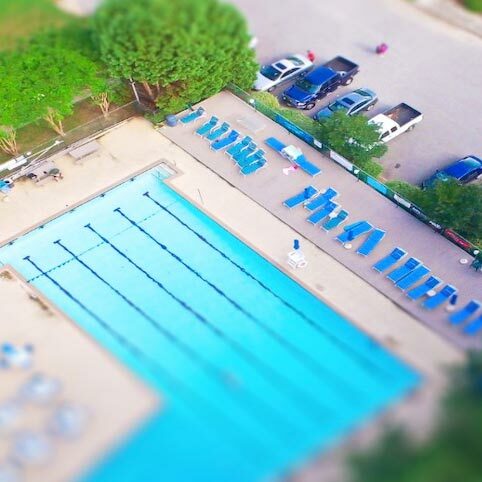 If you have problems with people showing up unannounced or trying to reserve a court mere minutes before they want to play (pretty much the same thing as showing up unannounced), Pool Dues has an Hours in Advance to Reserve field. On the Tennis Director Dashboard, there is an option to set a minimum number of hours in advance a member can reserve a court. 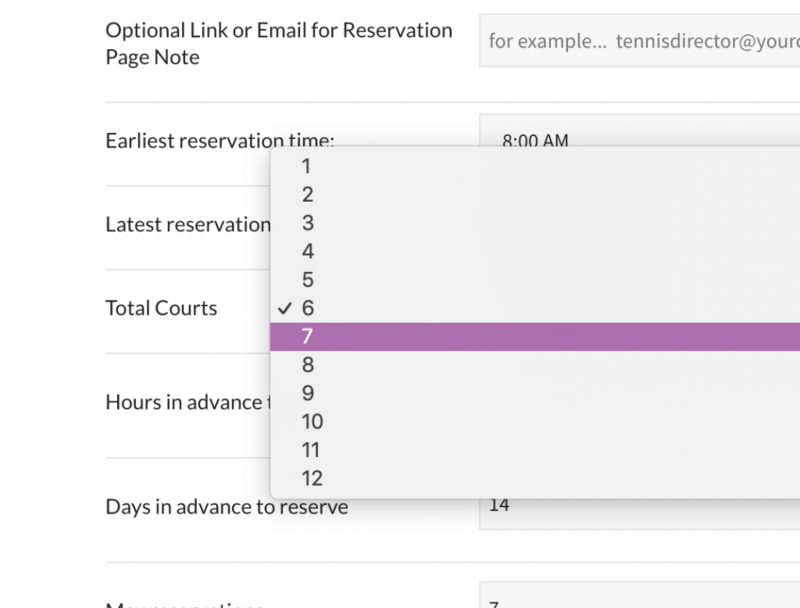 If you want people to reserve a court at least an hour in advance (or 12 hours in advance, or 24 hours in advance, or any number you choose), simply type in the number on your Dashboard. For example, if you have “1” typed in like in the image above, members have to reserve a court at least an hour in advance. So, if it’s currently 5pm, a member can’t book a court until 6pm that day. What about court reservations far in advance? The Tennis Director also has the ability to limit the number of days in advance members can reserve a court. 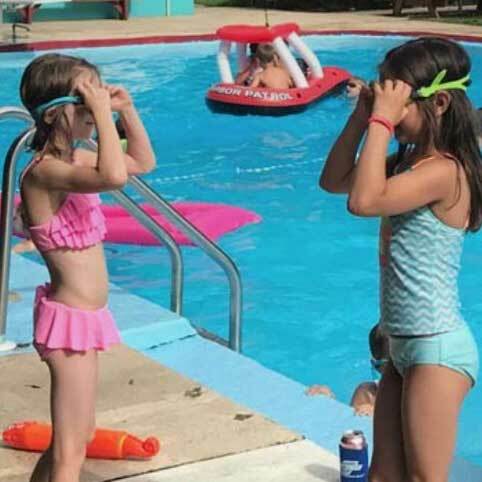 Maybe you have some members who try to reserve the same court every Tuesday for every week of the year and this is causing tension among other members. Or maybe you just don’t want to have the system overloaded with months of pre-reserved courts. Especially if you have an upcoming event that isn’t quite set yet, you might not want to let anyone reserve a court 5 weeks from now because you’re not sure exactly when the event will be scheduled. On the Tennis Director Dashboard, there is an option to set Days in Advance to Reserve. Simply type in the maximum number of days in advance you want to allow people to reserve a court. 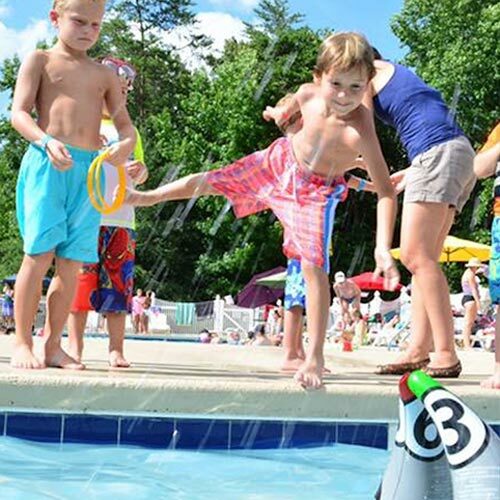 For example, if you have “5” typed in like in the image above, members can only reserve a court 5 days in advance. So, if it’s currently Friday, members can reserve a court for Friday, Saturday, Sunday, Monday, and Tuesday, but not past that. This number can be any value you choose – every club is different, so choose the number of days in advance that works best for you. If you don’t want to limit this field, you can easily type in 365 and allow members a full year to reserve a court in advance. How can I limit the number of reservations a person makes? If you want to limit the number of reservation a member can make in the advance time period or how many times a member can book a court on a given day, simply set a limit on your Tennis Director Dashboard. 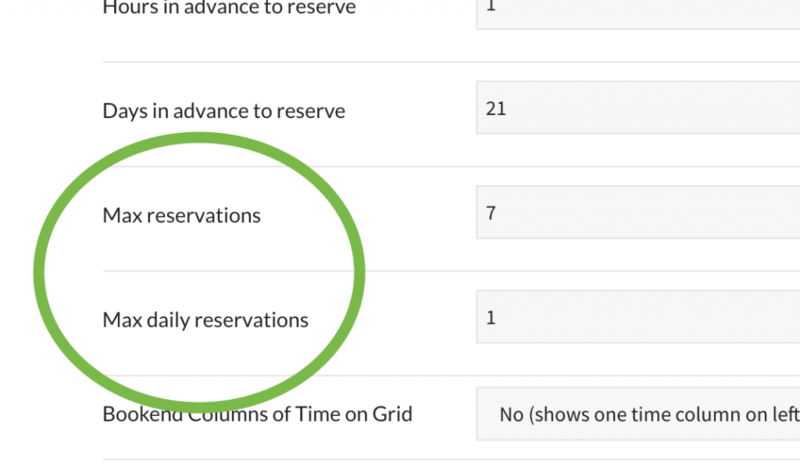 Max Reservations is the way to set how many reservations one person can make in advance. In the example here, every member can make up to 7 court reservations at a time. With that said, each member can only make one reservation per day in the example here since the number “1” is in the Max Daily Reservation field. As with all Tennis Director settings, your Tennis Director has full autonomy to set whatever number he or she wants in these fields. Want to allow someone to reserve 5 courts a day? Easy – just type 5 into that field. Have lots of members and want to make the system fairer for everyone? 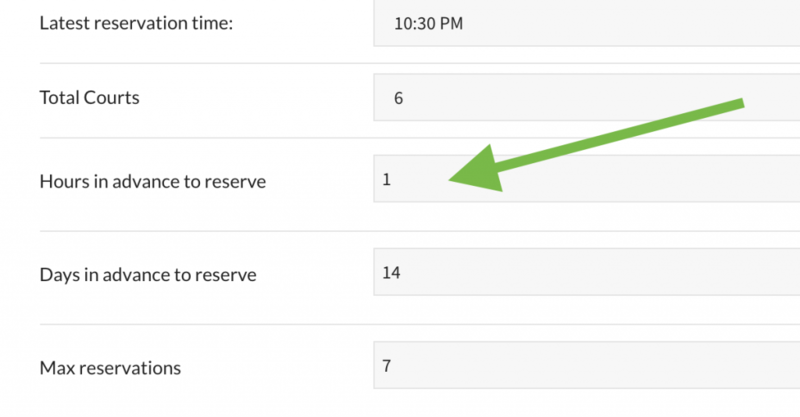 Easy – type in a low number (like 2, 3, or 4) in the Max Reservations field. 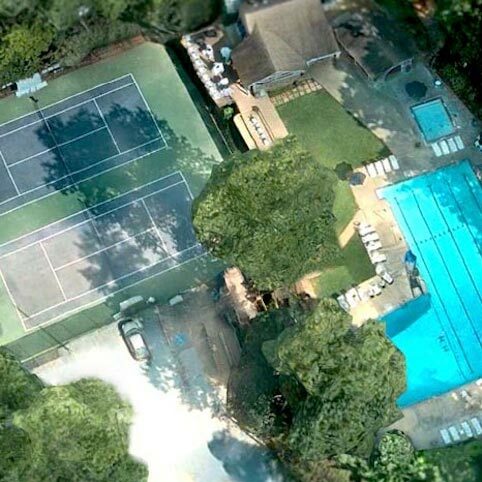 What if my club has more than 6 tennis courts? 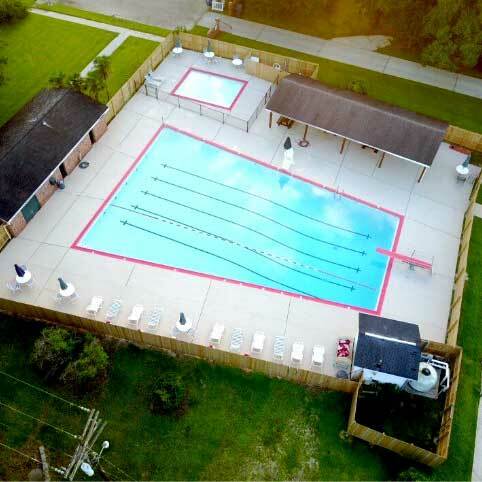 You Pool Dues site is fully customizable for between 1 and 12 courts. While our Demo Club page shows 6 courts, you can easily pick the correct number of courts for your club. Simply go to your Tennis Director Dashboard and use the pull-down menu to choose the number of courts you have at your club. What is a “Pinned Note to Tennis Grid Page”? This is a place for the Tennis Director to post a note at the top of the Reserve a Court page. It’s a quick way to remind people about upcoming tennis events or other important tennis news. In this example, the note reminds people about the upcoming Boozy Round Robin. This example also has a link so if people click on the message they’re directed to the Tennis Shop page. Both the note and the link are set on the Tennis Director Dashboard. Also, if you want the link to be an email, you can just put an email address in the field rather than a webpage. Please note that this is NOT the place to put information like the code to the tennis courts. 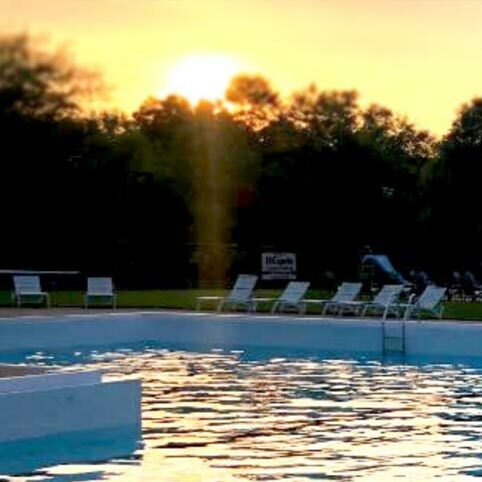 This page is public, so save privileged information for the Reservation Page, where only members who have reserved a court can see the information.